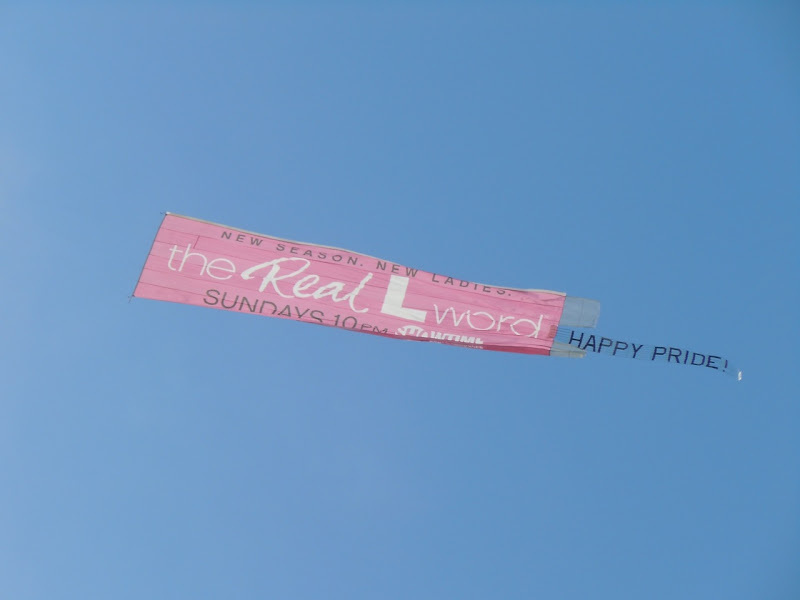 TV WEEK continues with the billboard for the second season of Showtime's lesbian reality show, The Real L Word. 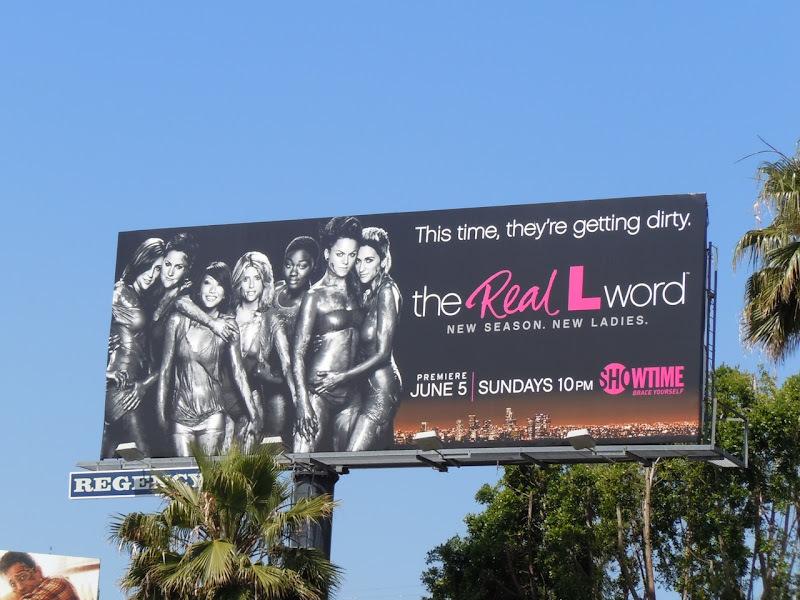 Gone is the naked glamour of palm trees and California sunsets from the The Real L Word season one billboard, replaced by what looks like a new cast of younger, grittier and apparently dirtier ladies. 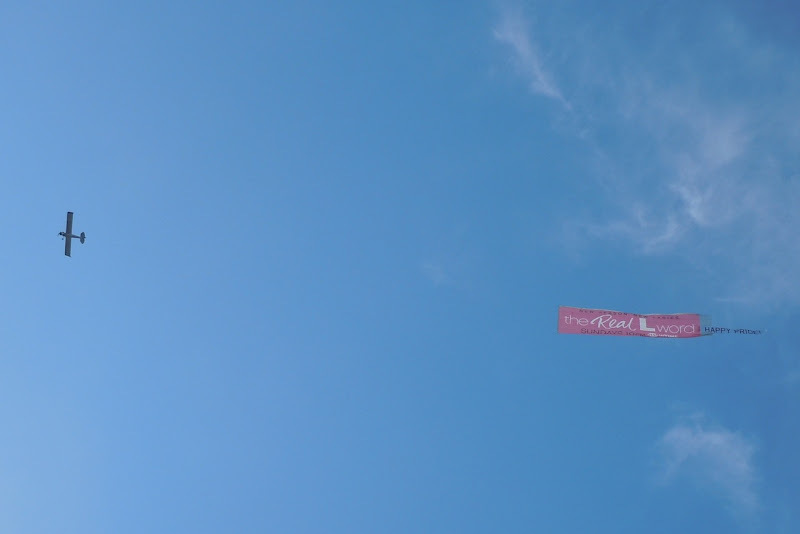 This new season billboard was snapped along L.A.'s Sunset Strip at Holloway Drive on May 25, 2011. UPDATED: Here's another cool sight in the skies of L.A. for the second season of The Real L Word, an airplane banner to wish everyone a Happy Pride! for West Hollywood's Annual Gay Pride on June 11, 2011.